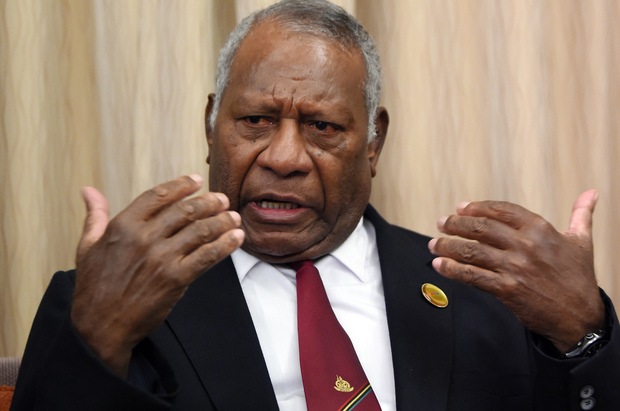 The Shadow Attorney General and Member for Sinasina Yongomugl, Kerenga Kua welcomed the resignation of Mr James Marape from the O’Neill Cabinet, saying it is timely and we still have the opportunity to save this country if more cabinet ministers follow suit and abandon the corrupt practices of Prime Minister Peter O’Neill. Mr Kua said, “My sacking as the Attorney General in 2014 was for the very same reason that Marape today has resigned from Cabinet. O’Neill does not take advice from his Cabinet but instead takes a lot of ill advice from opportunists that surround him. “We have seen more scandals during O’Neill’s administration than any other time in our short history starting from the purchase of the generators from Israel to the UBS loan that were both undertaken without following due government processes. We witnessed the blow out in costs for sports infrastructure for the Pacific Island Games. We watched with disbelief as Mr O’Neill tried to expropriate the PNGSDP. “We watched the huge spend and borrowings for the APEC meeting that has seen little to no trickle-down effect to the people of Papua New Guinea. Yet we are reminded daily as we drive along Wharf road, Port Moresby and see the line of buses and cars being corroded by the salt air of the amounts wasted by this government. Monies that have could have been spent on medicines in both urban and rural areas of the country; and on education so that schools should not be suffering and forcing parents to pay despite the PNC promise of free education. “More recently we saw the unfurling of the Paladin scandal and the setting up of Mr O’Neill’s Pacific Brewery on alleged customary land. “Mr O’Neill is unstoppable, he does not heed to advice as in the case of the Department of Petroleum’s notice that the Papua LNG agreement is not ready for signing but expediency seems to be the order of the day. Not enough awareness has not been conducted and many landowners from the project area feel further marginalised and do not understand the significance of the signing of this project agreement. “We witnessed the manipulation and demise of state departments and agencies to suit outcomes favourable to Mr O’Neill and a handful of his political and business associates. A lot of damage has been done eroding the capacity of our institutions. “But Mr Marape’s move gives the Opposition and the people of this country hope that more members of parliament will move to partner with Opposition to put an end to this continual abuse at the highest Office of our country. “We are still a democracy and one person cannot unilaterally overrule other elected representatives of the people of Papua New Guinea. Mr O’Neill cannot undermine the system of government that we have by overlooking ministers and dealing directly with Department heads. Cabinet ministers should not tolerate this tyranny. “Further it is unbecoming that Mr O’Neill should suggest to a senior and loyal Cabinet minister that Mr Marape has not performed in his electorate. Mr O’Neill has not resolved pending police matters in his own electorate and should not be pointing fingers. “Importantly, I urge cabinet ministers to stop suffering in silence and come forward by tending your resignation and forming a better political alliance where we can truly serve the interest of the people of this country. Last November, Mongabay and The Gecko Project published an investigative article exposing the dealings underpinning a mega-plantation project in Papua, as part of our series Indonesia for Sale. Sophie Chao is a postdoctoral research associate at the University of Sydney, whose work focuses on the impacts of agribusiness on the peoples and environments of the Asia-Pacific and Melanesia. She spent a year, for her PhD, living with and studying the Marind-Anim people of Merauke, a district in the southern lowlands of Indonesia’s Papua province that has been heavily targeted for plantation development. Prior to this she worked for the Forest Peoples Programme, a UK-based non-profit, pressing private companies and governments to respect international human rights principles in plantation developments. 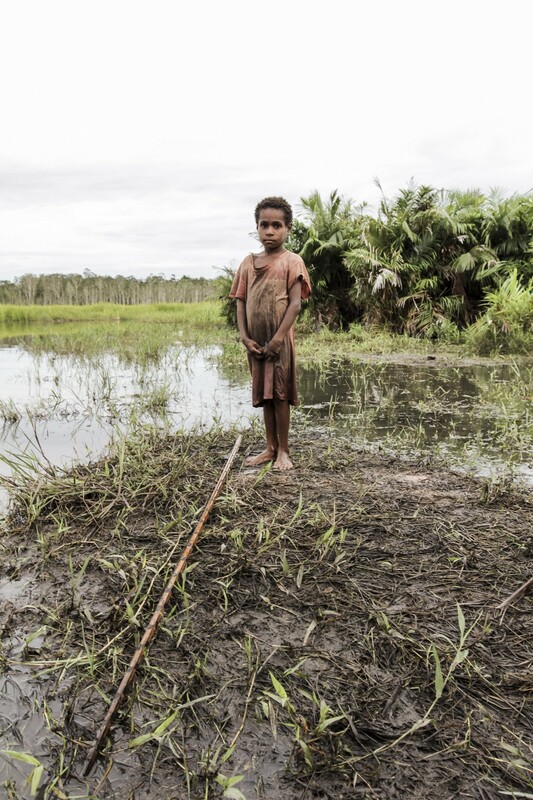 The relationship between indigenous peoples, the state and plantation companies in Papua, and Merauke in particular, is fraught. The government has earmarked the district to produce sugar, timber and palm oil. Indigenous Papuans are heavily dependent on the forest that is being destroyed to be replaced by these crops. Many express a desire for “development,” but are losing their sources of food and clean water, without any improvements to their lives. Chao’s research has investigated the underlying cause of this conflict, and the ways in which Papuans experience a rapidly changing world. 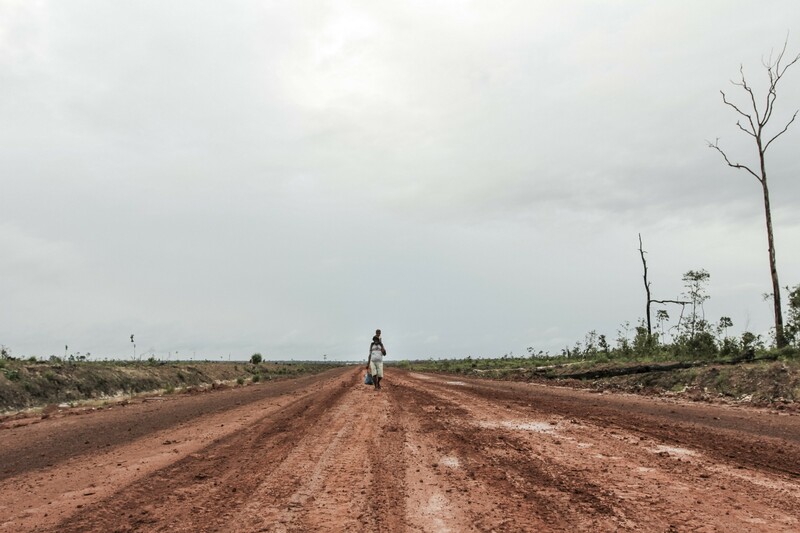 In November 2018, The Gecko Project and Mongabay published “The secret deal to destroy paradise,” an investigative article exposing the murky story behind a vast palm oil plantation project in Boven Digoel district, to the immediate north of Merauke. Papuans whose land has been annexed by this project are just beginning to feel the impacts as large-scale deforestation begins. We spoke to Chao for a deeper insight into the complex tensions between the culture and worldview of people indigenous to southern Papua and the industrial agriculture that is being imposed upon them. The Gecko Project and Mongabay: Indigenous Papuan culture is closely connected to the natural world. Is this something that you think is particularly strong within Papua, compared to the rest of Indonesia? Sophie Chao: This extension of a sentience, or agency, or some kind of volition to animals, but in some cases plants, is found across a whole range of indigenous societies in Indonesia, as different as their histories and geographies may be. It does seem to be a recurring motif. The forest for Marind and many other groups, including Dayaks that I worked with in Kalimantan [the Indonesian part of Borneo], is a sentient ecology, or an ecology of selves, some of whom are human, not all of whom are human. But who all participate in shaping this dynamic space that is the forest in ways that transcends the human. The Marind have a lot of belief in spirits, these ancestral creator beings that are manifest within plants and animals within the landscape. The forest is kind of a living history book, animated by these spirits and by their animal and plant manifestations. How do these feelings — this sense of being connected to nature — influence their perception of plantation companies that are encroaching on and in many cases annexing their land? 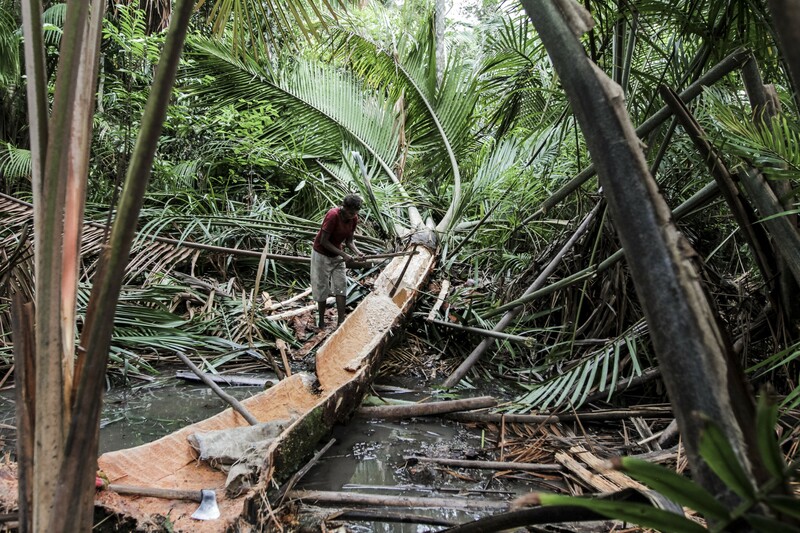 A lot of the communities I worked with have ceded their lands to oil palm corporations. Some have signed contracts surrendering other clans’ lands on their behalf without their consent. It’s very messy. Part of it is that this dependence on the forest is decreasing in the light of deforestation and monocrop expansion. Another indigenous idiom through which people understand the negative environmental impacts of oil palm expansion — water pollution, the haze, toxic mill effluence and so on — is as a form of retribution on the part of these plant and animal spirits for their failure, for the failure of Marind to protect them from oil palm, from these destructive, external forces. People use the idiom that it’s a landscape that has become desiccated. It’s been depleted of life-giving fluids, which encompass the water of the rivers, the wetness of the soil, blood — the sap — of animals and plants. People’s bodies become dried out, as do the rivers. Crocodiles and fish become ‘drunk’ on the poison that comes from the mill — the pesticides and fertilisers. A lot of the time when I asked Marind what was the worst impact of oil palm expansion, they would say that oil palm kills the forest. Or oil palm kills the sago, in particular. 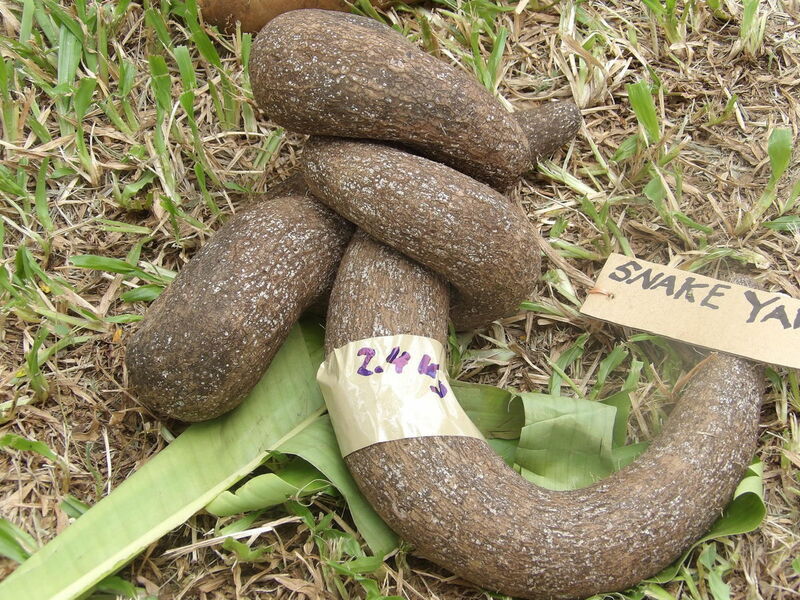 This plant that is central to the cosmology of Marind, their staple food starch, and therefore the destruction of sago and the forest has implications for Marinds’ own livelihoods and subsistence. Why do you think the process becomes so messy when companies come into these indigenous lands? Is this because of the lack of process to decide whose rights are where, and whether they decide that they do accept the company or not? The lack of information is a massive issue. People are signing contracts when they have no idea what the legal implications are. They’re not explained the potential negative consequences. A few of them believe the land will be returned to them when the license expires. They have no idea that the land automatically becomes state land [when a plantation license expires]. Most of the time people were completely unaware of that. There’s a massive information shortage. One of the things that’s made it really difficult for the Marind to refuse these land deals is that the companies are very aware of the importance of reciprocity and exchange among Marind. And it’s across the Pacific really, and Melanesia. The idea is that if someone gives you a gift you cannot refuse it and you must reciprocate. So companies will organise these pig sacrifice rituals, they will give 4x4s, they will organise feasts and so on, and that creates a sense of indebtedness and obligation on the part of the community, who then find it very difficult to not surrender land as an exchange, as a return to these companies. Again, this quite incisive understanding of the value of exchange in Melanesian society tells me that they know what they’re doing. There’s someone who understands these values, these norms, these mores on the corporate side. That definitely creates a problem. Those are some of the biggest reasons why there’s this community fragmentation. Of course, there’s the prevalent scenario of plying people with alcohol, taking them to the city, prostitution and so on. There were several cases where men in the villages where I was working had been plied with alcohol and slept with prostitutes. And it had all been filmed, and then this footage was used as blackmail. There are those more immediate kinds of strategies. In the case that we looked at in Boven Digoel, when the company came to the villages, they told them to prepare pigs for slaughter, for a ceremony. Then when they came back they handed out stacks of cash. They gave out envelopes to each clan with a large amount of money in it. Quite arbitrarily. They used the term tali asih to describe the payment. But the villagers were confused about what it was for. It sounds like what was happening was that they were forcing on them some kind of gift exchange ceremony, to force this reciprocity. It was a key moment in the story of this project. Do you have an understanding of what tali asih would mean to them? My interlocutors were hugely confused over this concept of tali asih. In part because it seemed to be used interchangeably with ganti rugi [a fee for destroying their existing crops], compensation, uang ketuk pintu [“door-knocking money”], a payment, sewa hargaan [rent], kontrak sewa[lease] … I mean the list just goes on and on. And it remains unclear what exactly the difference is. Is this a show of goodwill? An opening-the-door gift? Is it a gift? Is there an expectation of return? The uang ketuk pintu — I mean it literally means the money you bring when you knock on the door. So it suggests an invitation into a social relationship. But for the most part, people were put in a position of feeling that they needed to reciprocate. The only way they knew, the only thing the companies seemed interested in, was the land. So there’s huge lack of clarity over what these terms mean. I’m writing something at the moment about “failed rituals.” Anthropologists love writing about rituals in non-Western societies, particularly indigenous ones. Fewer anthropologists, however, have written about rituals that fail, or rituals that are problematic precisely because they do work. And how corporations are co-opting adat [custom] through these pig sacrifices and so on. And people find themselves forced to participate in their own practices, that are being adapted by these external actors or ‘corporate shamans,’ if you wish. And the problem is, even though these corporate actors are not Marind, they’re not ritual experts, they’re not related to Marind, they’re still able to carry out these rituals. And the problem is these rituals work. People get cured. People heal. So it’s hugely problematic. “They’re using our norms, our values, they’re not Marind, and it’s working … so are they shamans? Do they have these forces or powers that we thought were our prerogative? And if so how do we deal with that?” It’s fascinating the way reinvention of tradition can happen, and can be manipulated and exploited to serve very different uses. And effectively forcing people to participate in these subverted reinventions of tradition. It was a bit like a hand grenade in Boven Digoel. That seemed to be the point at which things blew up with the clans. There was a lot of suspicion over who got what, and what it was for. They’re very clear that before that point they were fairly peaceful, and after that point they were literally in some cases having punch-ups. Could you talk a little bit about the impact on the social fabric? There’s a huge intergenerational problem in many of the villages I was working in. That level of societal relationship is breaking down. It works in both directions. Some of the elders who are adamant that the forest should be preserved versus the younger generation who are looking to progress, to change to modernity, material wealth, access to the cities. Access to the modern world. There’s that intergenerational tension. Then you also have it in the other direction, where there are young, educated Marind — schoolteachers, nurses, for instance — who are deeply critical of the elders who are also surrendering their land without understanding the terms of the contracts, the legal implications. Who are still operating in this reciprocity framework. [Young people would say,] “That works just fine among Marind, but you’re not dealing with Marind here. You need to change, our culture needs to change and adapt because we’re dealing with a very different kind of audience, who does not reciprocate in the same way, who does not understand reciprocity in the same way.” So some of these young people are pushing for kind of a transformation in Marind culture as a way of surviving these new kinds of forces and actors that are impinging upon everyday life. We’ve seen maps produced by the company of the clan territory within their concession. 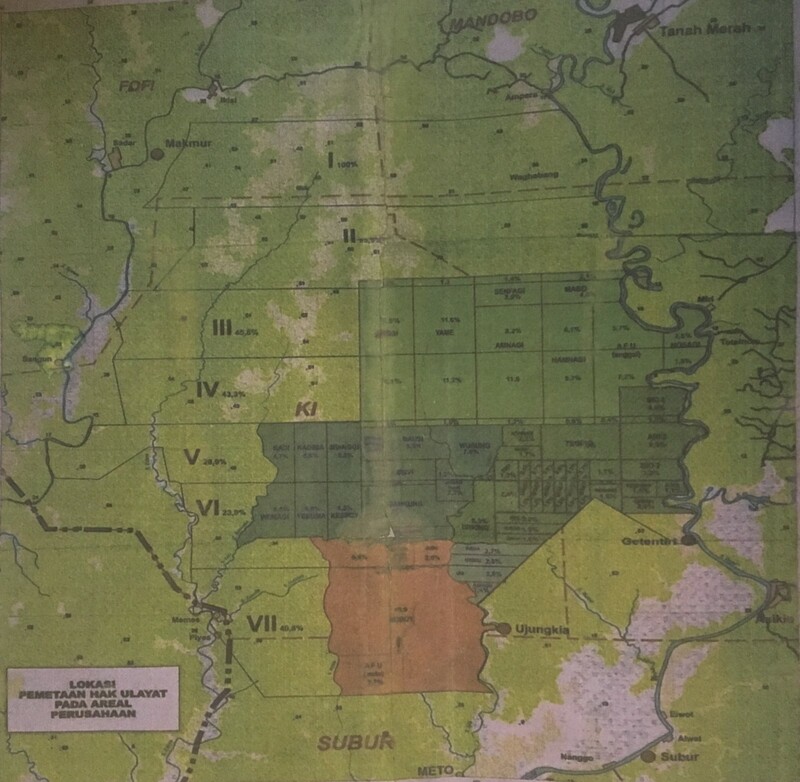 It shows little parcels of land that the Auyu [an indigenous group in Boven Digoel] have allegedly ceded to the company, which of course are nice neat square lines. You have previously written about the complexity of mapping Marind land, where they have a much more complex concept of nature and space. Could you say what a map of clan territory that was accurately produced might look like? It would depend on the season. It would depend on which clan is doing the mapping. It would be a 3D map. It would be a map that has a sound accompaniment to it. It would have to be a map that is open to revision. Which kind of goes against the whole idea of the GPS, aerial, putatively objective, top-down point of view of relatively static objects and places. But it would have to be a map that’s open to revision. When peoples’ relationships to other clans change, they want the GPS points to be moved. Either drawn closer, or further away. When fortunate or auspicious events happen in the forest involving particular animals that belong to another clan, again the boundaries have to change. So these cartographic technologies would have to incorporate the fluidity to accommodate a multi-sensory way of perceiving the world, which would entail sound. A map that would be able to represent movement. I don’t know if overlays of different maps would help. One of the biggest issues we had was people follow the movement of animals, because the movement of animals helps them trace or identify their own boundaries. Because a lot of them follow the migration patterns or feeding, mating movements of animals, and these are inscribed in myth as well. So different maps that represent different species’ movements across the landscape. So it would have to be maps that are open to change, and that incorporate sound. A map of indigenous territories within the Tanah Merah project, in Boven Digoel, reflects a crude and inaccurate understanding of land use. So it would be accurate to say that such maps have to reflect a much more complex relationship to nature than we have? Absolutely. I remember asking one of my informants, what are maps about for you? What is a map? And he said, “Songs and stories.” I went out there with an activist mind-set, let’s make a map of the territory, this is going to be really important evidence. [And instead] I went around basically mapping bird sounds. And hearing these incredibly wonderful, protracted stories about these animals, where they come from, what relations pertained to them. So songs — human and bird. Stories — human and bird. Which then in turn led to all kinds of other narratives — events, myths and so on. It’s a very moving process. Both in the sense that it’s about mapping movement, and it’s very moving for the people who do it. Because it’s as much about what’s being mapped as the person doing the mapping. The individual who is doing this cartography is invested in the process. He or she will produce a map that is inherently shaped by his or her relations to what is being mapped. So, for them, they embrace the subjectivity of mapping. This idea of top-down perspective makes very little sense. Do you think they have any means to reject or oppose these land concessions? Does it entirely depend on a company or a government that’s going to give them a genuine option to opt in or out, and that’s not there at the moment? It’s actually really hard to withhold consent in this particular context. The military is there, doing this sosialisasi [socialization]. People have very little choice, the kind of pressures they’re facing are huge. And then there’s retributions on people who are engaged in land rights advocacy. Both in terms of psychological and physical harassment, the confiscation of ID cards, extrajudicial incarceration, sporadic interrogations. What do you think the long-term impact is going to be? As I understand it the land can revert to the original landowners once the HGU [35-year plantation permit] has expired, but only so long as they are still practicing their customary way of life, still practising hukum adat and customary land tenure. [So that is] enforced primitivism for sure. But there’s also no way these people can still be practicing customary land rights tenure and subsistence if their land has been converted to monocrops. So once the HGU expires the chance of it reverting to the communities is very, very low. There’s an inherent paradox in that demand on communities to somehow sustain a traditional way of life in the midst of these techno-capitalist landscapes. So, the land once ceded is very unlikely to return to them. It’s the relief of the forest, the particular natural markers — the trees, the sago groves — that actually act as markers of land boundaries between clan territories. So if the forest is gone it means there’s actually no more reference points to identify whose land belongs to whom in these razed landscapes. It’s complex enough now trying to identify which land belongs to who. When those physical markers are gone, how they are going to patch it together again and re-divide these completely demolished landscapes is going to be a serious challenge. 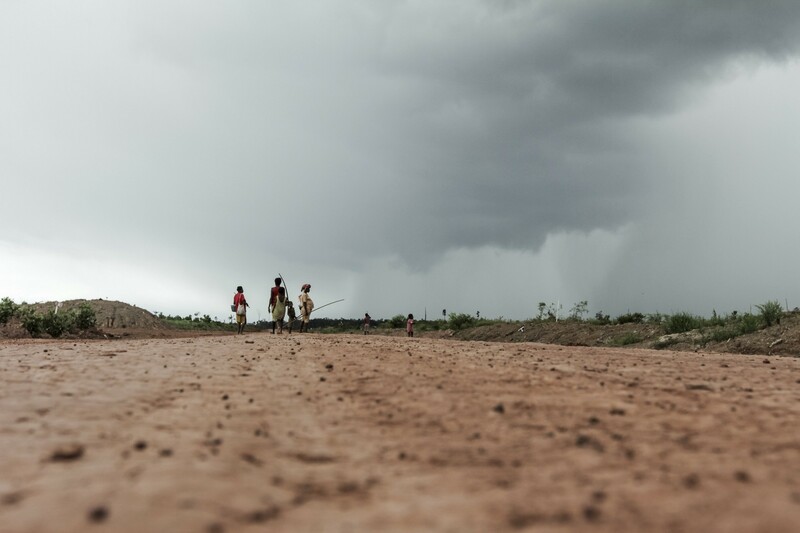 Ten years down the line, if you’ve got these villages and their sago groves have gone, the forest has largely gone, what do you see as happening? In a practical sense, where do they go if they can’t get enough food? What happens to their culture? One of the things that could happen is the people stay in the village, but become completely dependent on government and company handouts. Many of the villages where I was working, you get compensation packages. Many of the people could no longer hunt or forage. Instead they were eating instant noodles and raskin [subsidised rice], provided by the government and as “CSR” [corporate social responsibility] from the companies. Indigenous food ways are being radically transformed. That has repercussions for health. Infant malnutrition is on the rise. These foods are not nutritional in any shape or form. So I anticipate that there will certainly be health impacts for people who are no longer accessing the proteins from the forest and who are now eating these processed goods of very little nutritional value. But it could be that they end up becoming completely materially and financially dependent on the corporation, for food and money handouts. The villages I worked with were very critical of other villages who they deemed to have already reached that level of malas — laziness. Just waiting for your funds to arrive, just waiting for the company money. It’s another source of fragmentation, this internal criticism. People who are no longer struggling, who will eat from the company rather than hunt for themselves. And some people are. Some young Marind prefer to eat rice and noodles, they’re not really interested in hunting anymore. They’d rather be in the city, and they’d rather “progress,” or modernise as they put it — maju. I suspect these changes will be inflected along generational lines. That’s as much as I can envision at this point. Either total dependency or migration towards the cities. We’re talking about a people who are now a minority in their own lands. 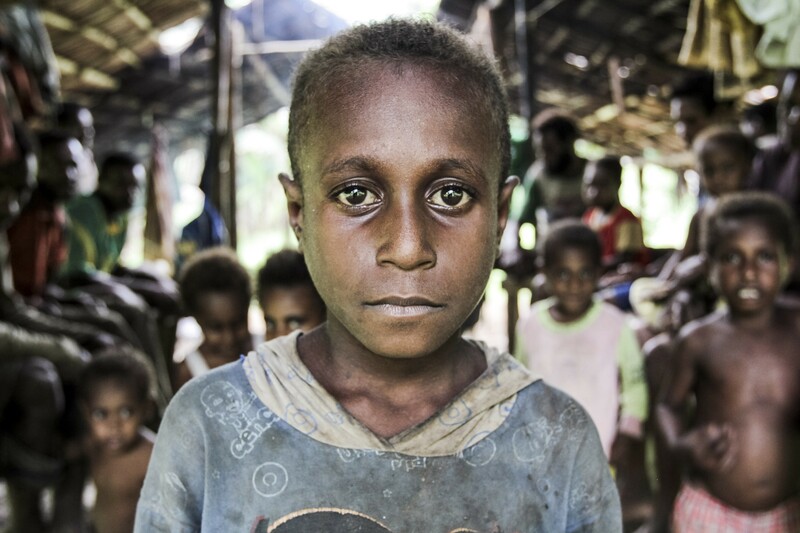 The latest statistic is that Marind are 38 to 40 percent of the population of Merauke. Population dilution is something to certainly keep an eye out for. It’s real, it’s happening. So perhaps the erosion of culture will go hand in hand with a real demographic depletion. 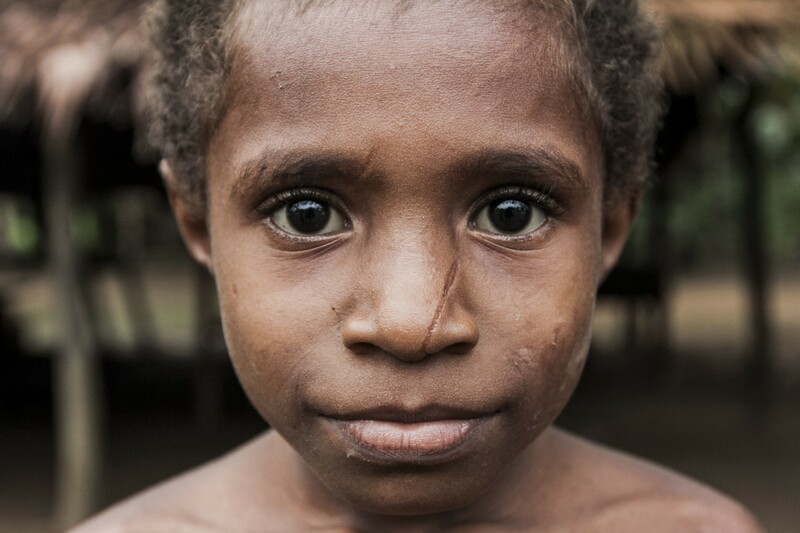 What realistic changes could occur that might improve the situation for Marind and other indigenous Papuans? At the grassroots level, I think community capacity-building is key. This would involve increasing communities’ access to national and international remedy mechanisms, and their knowledge of their rights under national and international law, particularly to their lands and livelihoods. But these grassroots initiatives would also need to be accompanied by legal reform that would harmonize national laws with the requirements of international law. There’s a gap between these two systems at the moment. Sustainability standards like the RSPO [Roundtable on Sustainable Palm Oil] are making important steps to push for a rights-based approach to oil palm production. But again, these standards can only be truly effective if there is legal reform. Otherwise, even companies that are trying to implement a comprehensive FPIC [Free, Prior and Informed Consent] process may find themselves stuck between the requirements of the RSPO and the requirements of national laws. Of course, legal reform takes time — it won’t resolve the problems faced by Marind today. But on the long term, it may make a difference to future generations of Marind and increase their capacity to defend their rights to lands and livelihoods more effectively. To see films and photos from Papua, and further stories in the Indonesia for Sale series, follow The Gecko Project on Facebook and Instagram. All of our articles and films are available in Bahasa Indonesia on our Indonesian site, www.geckoproject.id, and Facebook page. 03/27/2019 Washington D.C. (International Christian Concern) – In predominantly Muslim Indonesia, its largest and easternmost province, Papua, a place where over 80% of the population identifies as Christian, stands in stark contrast to the rest of the country which holds the world’s largest population of Muslims. Blessed by missionaries from the Netherlands, Germany, and the United States with the Gospel, the resource-rich region, however, has long suffered from economic inequality, lack of development, and human rights abuses from Jakarta. It continues to be the country’s least developed and most impoverished area. Now, Christianity in this region is also increasingly threatened as the influence of Islam grows. The number of Muslims and mosques particularly in cities has increased, especially in Jayapura district. Many old mosques are demolished and rebuilt with taller minarets to overshadow nearby churches. On February 27, with samurai swords in their hands, a gang of six led by a controversial Muslim cleric ransacked a Christian man’s home for playing Christian music at dawn as a nearby Islamic boarding school was observing morning prayer. Ja’far Umar Thalib, the cleric who runs Ihya As-Sunnah Islamic boarding school in Muara Tami district, allegedly barged into the home of Henock Niki around 5:30 a.m. with several sword-wielding followers dressed in white. “The perpetrators then severed the cables of the victim’s speakers. They told him that the loud music was disturbing worshipers in the mosque,” national police spokesman Dedi Prasetyo told reporters in Jakarta. Other news outlets also reported that the mob went on to damage the speakers and injure the man’s 14-year-old son. According to Dedi, Henock told the attackers that the morning prayer was at 4:15 a.m., which should have been over by that time. They subsequently fled south in a minibus. The attack on Henock’s house drew protests from local residents who immediately took action to block the road to stop the perpetrators from fleeing. Residents reported the incident to the police and asked them to arrest the mob. The police were able to apprehend the suspects and secure evidence from the scene, including five samurai swords, several long machetes, and a number of media materials from Laskar Jihad, Thalib’s radical Islamic organization. Thalib is known for his radical line of thoughts and actions. He recruited a “jihadist army” to fight in a deadly conflict between Christians and Muslims in Ambon, in the Maluku Islands, that claimed the lives of approximately 5,000 people between 2000 and 2003. On March 4, more than 2,000 Christians in Papua took to the streets to demand Thalib’s expulsion. 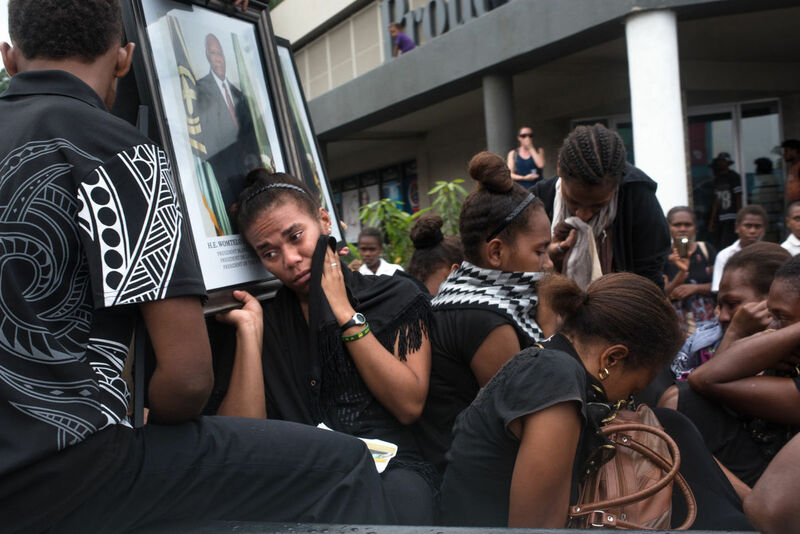 They held a protest outside the Papua governor’s office in the provincial capital Jayapura. Protesters said they would take the matter into their own hands if the governor failed to expel Thalib. He also added that Thalib’s influence was spreading in Papua. “We don’t want him to create another conflict like the one that devastated Ambon,” he stated. Members of the minority Muslim community in Papua are also in support of his expulsion. Taha Alhamid, a Muslim leader who was part of the rally, said his community also believed that Talib should be returned to his hometown. “We want the police to immediately remove him from Papua,” he said. Parliament has been summoned for a special sitting on Friday March 29, 2019. The special sitting was ordered by the Speaker of Parliament, Esmon Saimon on Wednesday, 20 March on the advice of Prime Minister Charlot Salwai. This simply means the Prime Minister can appoint four additional ministers, making a total of 17 ministries altogether, from a quarter to a third of the members of parliament. According to a copy of the order notice of parliament, Prime Minister Salwai said “the rationale behind this amendment is due to the fact that some ministers today have been assigned too many portfolios thus affecting the efficient and effective running of the ministries concerned. “This amendment will result in the withdrawal of portforlios from such ministers and assignment of such portfolios to the new ministers and the increase in the number of ministers will also ensure more efficiency and effectiveness in the implementation of government policies by the ministries concerned and their respective departments”. The second amendment of the constitution is for the appointment and removal of Parliamentary Secretaries (PS) by the Prime Minister and the number of PS that may be appointed must not exceed a quarter of the number of ministers and the parliamentary secretaries will be carrying out the functions that may be assigned to them by the Prime minister. They will insert the following provision to article 46 of the constitution: (a)Appointment and removal of PS, (1) The Prime Minister may appoint PS from amongst members of parliament; (2)The number of PS must not exceed a quarter of the number of ministers (3) The Prime Minister is to assign responsibilities for the conduct of the government to the parliamentary secretaries and (4) The Prime Minister may remove the PS from the office. This means there will be an increase of PS from five to thirteen. Daily Post understands that the four new ministries will see the separation of ministry of Agriculture, Livestock, Biosecurity and Forestry and the Ministry of Trade and Commerce and probably a new ministry. This special sitting has created controversy between political parties within the government and sources close to some political parties within the government said they will vote against the bill. 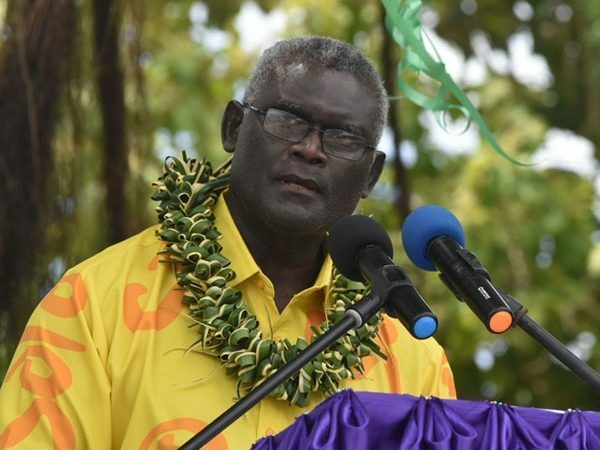 Leaders Party of Vanuatu (LPV) President Jotham Napat has told Daily Post the LPV will not support the Government’s bid to increase the number of ministers. “In whose interest will they be increasing the number of ministries for – the people or the politicians?” LPV President Napat questioned. “The Prime Minister must assess the performance of some of his ministers. If some of the current ministers are not performing and he increases the number of ministries, it will not make any difference. MP Napat said the PM must make decisions in the national interest, not the interests of the government backbenchers. He also commented on the second item in the proposed Constitutional amendment which provides for the appointment and removal of PS by the Prime Minister, which states the number of PS must not exceed a quarter of the number of ministers and that they may be carrying out functions assigned to them by the PM. “It’s just the same thing – they have now realized the Leader of Opposition has lodged a Constitutional case in Court, and are trying to defend their actions,” he said. Article 85 in Chapter 14 of the Constitution states, “A bill for an amendment of the Constitution shall not come into effect unless it is supported by the votes of no less than two-thirds of all the members of Parliament at a special sitting of Parliament at which three-quarters of the members are present. If there is no such quorum at the first sitting, Parliament may meet and make a decision by the same majority a week later even if only two-thirds of the members are present”. The Office of Prime Minister Charlot Salwai, has made it known that a letter was sent to French President, Emmanuel Macron, to express Vanuatu’s disappointment and protest against the France for sending its warship to Matthew and Hunter. 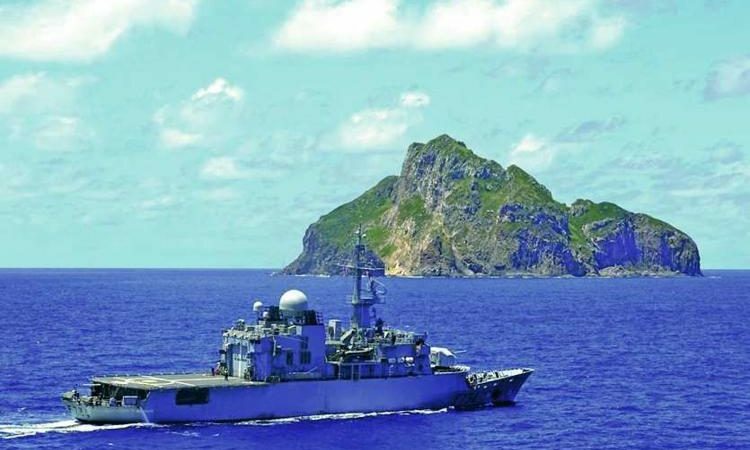 In a statement, the Prime Minister’s Office stated that the action by the French navy in January disrespected Vanuatu’s sovereignty and culture as the two islands were part of Tafea Province. 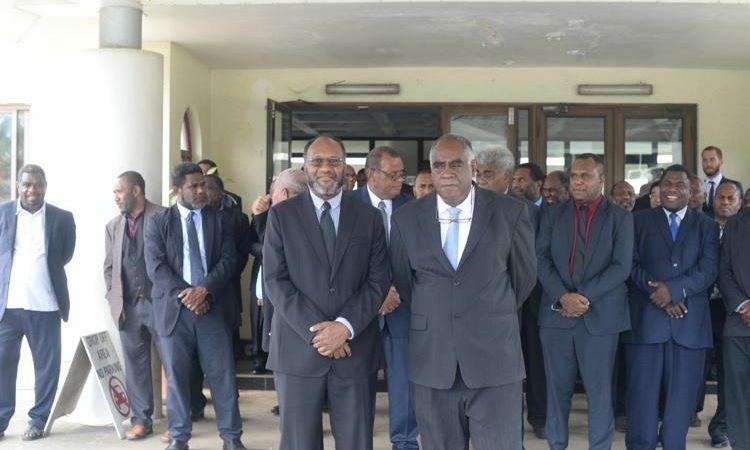 PM Salwai has said that such action will not lead to an amicable solution, especially at a time when Vanuatu and France agreed to dialogue on sorting their maritime boundary. 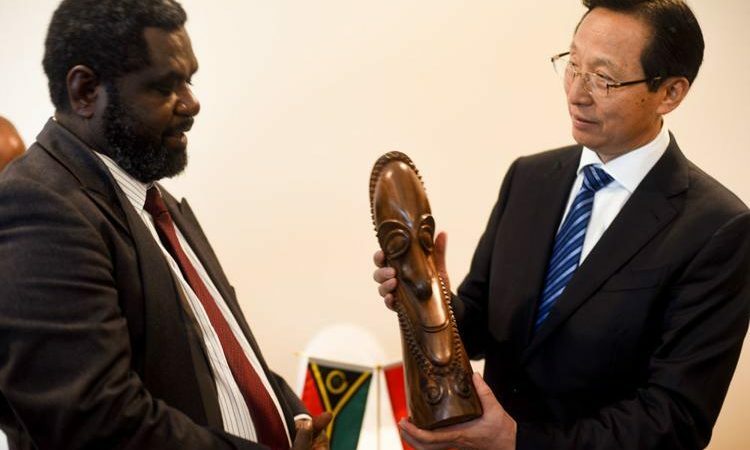 “Vanuatu wants a friendly solution that is done according to cultural heritage that is linked with Matthew and Hunter and follows the declaration by the Customary Senate of New Caledonia,” Mr Salwai stated. The Prime Minister said Vanuatu’s independence is not complete as there are boundary issues that are yet to be resolved with Fiji and France. The Government is appealing to the governments of France, Fiji and United Kingdom to assist in resolving the boundary issues but not to take actions that do not help to promote peace. This was said in reference to an agreement between Fiji and France in 1983 and another between United Kingdom and France. 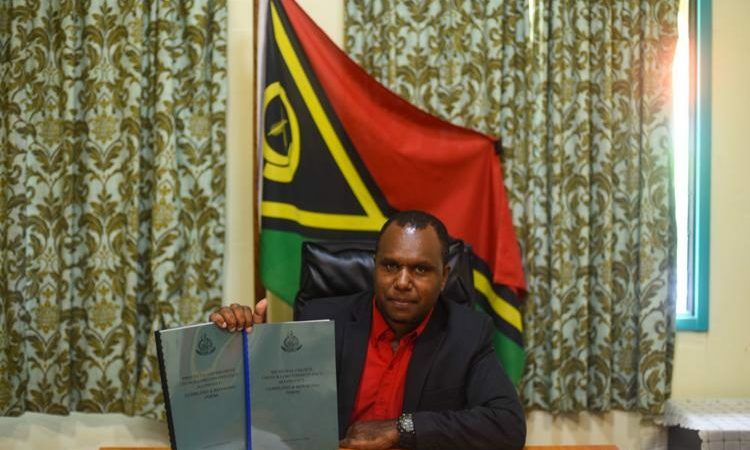 Mr Salwai says a priority of the government he leads is to resolve this outstanding issue relating to the maritime boundary to the east and west of Vanuatu as well as deal with Vanuatu’s airspace and see the return of Matthew and Hunter.